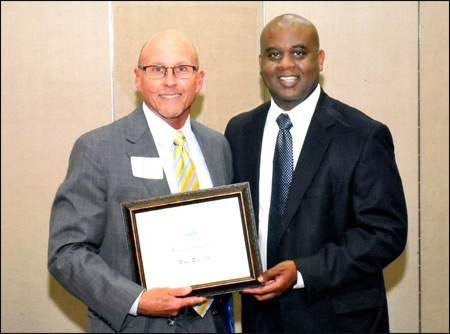 Paul Rice, pictured here at left with Mayor Derrick Henry, was recently recognized for over 15 years of service as the Chairman of the City of Daytona Beach’s Nuisance Abatement Board. The City hosted a ceremony followed by dinner at the Midtown Cultural and Educational Center on March 19, 2015. Many of the City’s residents were feted for their service on various volunteer boards. The longest serving volunteer board member was Mike Forrest with 43 years of service on the Personnel Board.